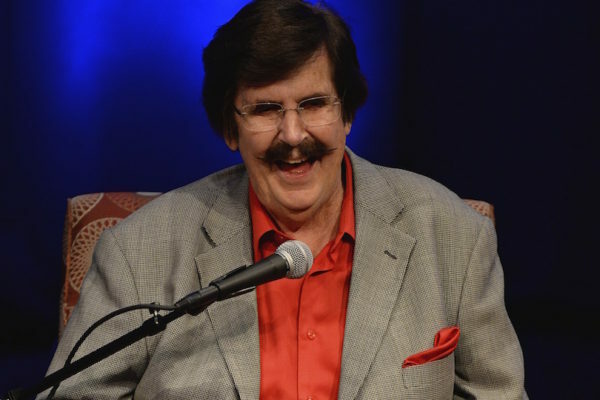 The music world recently suffered another significant loss, when legendary producer Rick Hall passed away just weeks shy of his 86th birthday. As the founder and producer/engineer of FAME Studios in Muscle Shoals, Alabama, Hall was the architect of some of the most important American popular music ever created. The classic recordings he presided over at FAME by artists including Wilson Pickett, Aretha Franklin, and Percy Sledge have an unmistakable sound: gritty and soulful, rich and thick as Alabama soil. But Rick Hall was more than a great music producer: his determination and tenacity in the face of profound personal and professional hardships, coupled with a radical spirit and unwavering desire for excellence, made him a true American master. Rick Hall grew up dirt-poor in rural Alabama. His mother abandoned the family shortly after his younger brother died in a freak accident. For Rick, music was his solace and salvation, and his early career was spent gigging with local bands. But tragedy struck again, not once but twice: his first wife and his father were both killed within weeks of each other, sending Hall into a downward spiral of drink and depression. Eventually, Hall found the inner strength to turn his pain into inspiration, and was determined to come back to the music business bigger and better than ever. He opened the first incarnation of FAME Studios in Florence, Alabama with a pair of business partners (FAME standing for Florence, Alabama Music Enterprises). Hall enjoyed moderate success there as both a producer and songwriter. But his partners were increasingly alienated by his workaholic, perfectionist tendencies, and ultimately let him go. Undaunted and determined to make musical history, he opened a new FAME location in Muscle Shoals. The first track he recorded there, Arthur Alexander’s emotional “You Better Move On,” was a substantial hit and inspired a notable cover version by The Rolling Stones. But the game-changer was Percy Sledge’s “When a Man Loves a Woman,” the first number one song recorded in Muscle Shoals. That song led to a distribution deal with Atlantic Records and a historic partnership with Jerry Wexler, who brought artists such as Wilson Pickett (“Land of 1,000 Dances,” “Mustang Sally”), and Aretha Franklin (“I Never Loved a Man the Way I Loved You”) down to Muscle Shoals for a series of groundbreaking records that revolutionized American pop music. Hall and his mentor, Sun Records founder Sam Phillips, both shared a deep spiritual connection to southern black music. Hall’s insistence on recording black artists in his studio was a radical act in brazen defiance of the systemic segregation of 1960s Alabama. 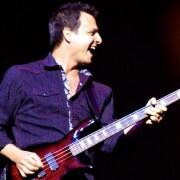 But Hall also employed a core rhythm section of white musicians, nicknamed “The Swampers”: bassist David Hood, guitarist Jimmy Johnson, keyboardist Barry Beckett and drummer Roger Hawkins. This made the “Muscle Shoals sound” even more revolutionary, both musically and socially. Hall found the common link between black and white, between soul and country. Everyone within the colorblind confines of the FAME Studio walls knew something about overcoming hardships, and under Rick Hall’s leadership, they created a potent blend of uniquely American music. The name “Muscle Shoals” came to signify a sound that transcended barriers of genre, race and social status, and had an enormous cultural impact worldwide. 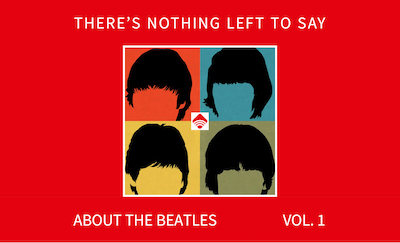 Its like your PhD in the Beatles. The first four "classes" are ready. By the late ‘60s after massive success with Atlantic, Hall struck a distribution deal with Capitol Records. But “The Swampers” parted ways with Hall, and with the help of Atlantic and Wexler opened their own “Muscle Shoals Sound Studio” in nearby Sheffield, Alabama. This created a rift between The Swampers and Hall that lasted years, but both parties continued to thrive. The Swampers followed Hall’s FAME model of not only providing an in-house studio rhythm section but finding the musical sweet spot between R&B, country, and rock on countless hit records by a wide range of artists such as Paul Simon, Bob Seger, Traffic, Millie Jackson and Elton John. Rick Hall, meanwhile, enjoyed success in the country music arena with hits by artists like Mac Davis, Jerry Reed, and Bobby Gentry. Hall was named Producer Of The Year by Billboard in 1971; in 1985 he was inducted into the Alabama Music Hall Of Fame. The FAME Studios facility on Avalon Avenue in Muscle Shoals remains active today, with country stars like Martina McBride and Kenny Chesney recording there in recent years. Like the Tennessee River that runs through Tennessee, Mississippi and northern Alabama, Rick Hall’s singular vision and perseverance created a “through line” that has left an indelible mark on American music and culture. PS. Gospel had a profound impact on pop music — as evidenced in these songs where Jesus rocked the jukebox. And rock promoter Bill Graham is another figure who helped moved the needle in the rock industry.